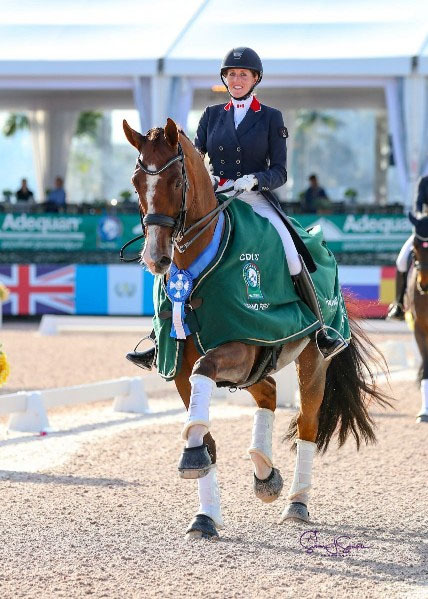 Brittany Fraser-Beaulieu of Saint-Bruno, QC, closed the books on a short yet very sweet winter show season at the Adequan Global Dressage Festival (AGDF) in Wellington, FL. With an impressive track record of multiple scores above 70% to start 2019, Fraser-Beaulieu and All In (Tango x Damiro), the 14-year-old Dutch Warmblood gelding she co-owns with her father, Craig Fraser and husband, Marc-Andre Beaulieu, show great promise for a record-breaking season. 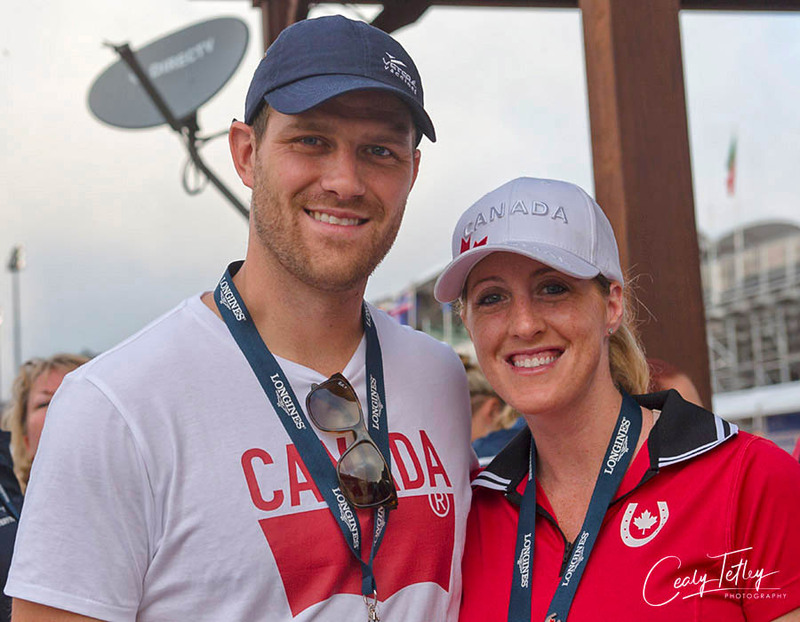 Brittany Fraser-Beaulieu of Saint-Bruno, QC, will be taking a break from competition as she and her husband, Marc-Andre Beaulieu, are expecting their first child in June. After setting a new personal best score at AGDF 3, Fraser-Beaulieu and All In upped their game with stellar performances during the fifth week of AGDF competition. Fraser-Beaulieu kicked off AGDF 5 on Feb. 7 with the CDI 5* Grand Prix, where a clean and harmonious test earned a score of 71.304% for the win. Not a pair to rest on their laurels, Fraser-Beaulieu and All In returned to the ring the following day for the CDI 5* Grand Prix Freestyle. Their compelling performance, set to the soundtrack of the 2002 movie, “Spirit: Stallion of the Cimarron”, scored an impressive 76.520% to secure the second win of the week. Having met her dressage goals, Fraser-Beaulieu feels ready to shift her focus to preparing for the new baby – and a break for her means some much-deserved time off for All In, as well. In addition to their recent AGDF performances, Fraser-Beaulieu and All In put in long hours of training for the FEI World Equestrian Games in September 2018, where they finished as the top-ranked Canadian dressage combination. For the moment, that “someone” is Fraser-Beaulieu’s coach and four-time Canadian Olympian, Ashley Holzer. Fraser-Beaulieu plans on letting All In enjoy the Florida sun and Holzer’s training until mid-April before moving the liver chestnut back to Canada, where he will enjoy several weeks of leisure before Fraser-Beaulieu returns to the saddle. While the break to welcome the family’s new addition will mean that Fraser-Beaulieu will miss the 2019 Lima Pan American Games, she and All In are resting easy as they are already proud owners of a silver team medal from the 2015 Toronto Pan Am Games. Instead, Fraser-Beaulieu is keeping her eyes set on the 2020 Tokyo Olympic Games.